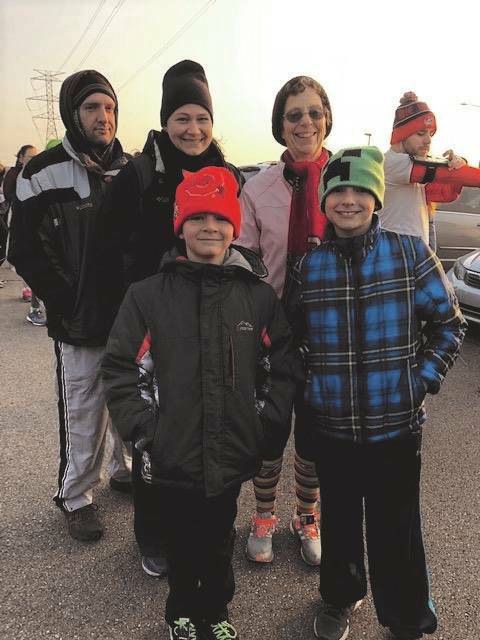 The Zerkle family of Tipp City participated in the Tipp Turkey Trot at Kyle Park. The family ran the 10K along with grandmother Diane Seaman, 67, of New Carlisle who ran the benefit race for the eighth time on Thursday morning. Runners of all ages participated in the 11th annual Tipp Turkey Trot 5K/10K race at Kyle Park Thursday morning. The annual race proceeds benefit New Path Ministries in Tipp City. 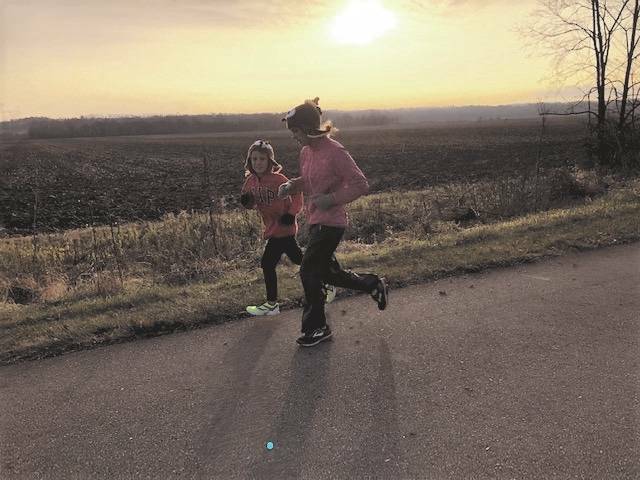 TIPP CITY — There were some frosty feathers flying as hundreds gathered shortly after sunrise to greet the Thanksgiving morning with a run to benefit their health and their community. The 11th annual Tipp Turkey Trot 5K/10K kicked off the season of thanksgiving with a chilly start with temperatures registering at 26 degrees at Kyle Park Thursday morning. The race proceeds benefit New Path Ministries at Ginghamsburg Church. Children were able to run the 5K race free of charge with a food donation for New Path’s pantry outreach. It was a family fun run for the Zerkle family. It was the second time to run the 10K for Ben Zerkle, 12, a sixth grader at Tipp City Schools. It was his brother 8 year-old Zac’s first time running the 10K with his brother, mother Rachel, father Jeff and grandmother Diane Seaman. Seaman, 67, of New Carlisle, began the family running tradition of running the charity race several years ago. It was her seventh Turkey Trot at the park. “This is my seventh time doing it. This is Zac’s first time doing the 10K with his grandma, he’s done a 5K before,” Seaman said. Dozens of runners got in the holiday spirit decked out in turkey hats and festive “plumage” in full Thanksgiving flair. Seaman showed off her fun run socks which said “Run now, gobble later” in traditional Thanksgiving colors of brown, orange and red stripes. “We run now so we can eat more turkey later — guilt free,” Seaman said with a laugh. https://www.dailycall.com/wp-content/uploads/sites/30/2018/11/web1_Zerklefamily_cmyk_ne20181122143638800.jpgThe Zerkle family of Tipp City participated in the Tipp Turkey Trot at Kyle Park. The family ran the 10K along with grandmother Diane Seaman, 67, of New Carlisle who ran the benefit race for the eighth time on Thursday morning. https://www.dailycall.com/wp-content/uploads/sites/30/2018/11/web1_sunrun_cmyk_ne2018112214392215.jpgRunners of all ages participated in the 11th annual Tipp Turkey Trot 5K/10K race at Kyle Park Thursday morning. The annual race proceeds benefit New Path Ministries in Tipp City.